Lucien Knuteson Interview & Show At Bherd Studios! Anyone familiar with Interpol’s Antics might notice a strange similarity between that and the first few seconds of Little Brazil’s Son. This is actually a compliment, but it all goes downhill from there. If this interviewer was age 16 or below, then Son might be a very formative album for the adolescent years. At this point, however, jaded in old age as I am, it just seems derivative. 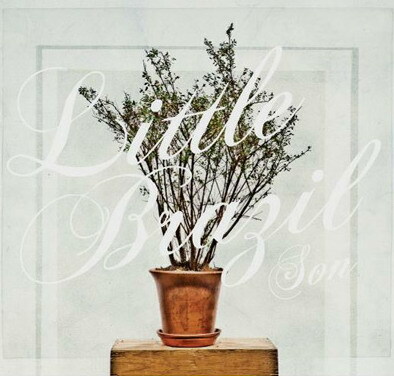 I dare even to make the comparison between Little Brazil and the pop-punk leanings of Unwritten Law and that ilk. For those fans, this is perfect: angsty, with a vocalist with high vocal octave range. Lyrics like, “What am I doing/ Am I just spinning my wheels?” reek of simpler, insecure times. All of this is surprising, considering that some of Little Brazil’s band members were in the formidable Saddle Creek Cursive spin-off, The Good Life, and power player, Son, Ambulance. This is their third full-length, and their first for Anodyne Records. Breakdown after breakdown, this is a predictable record — safe for those who find comfort in the genre and are looking for more of the same. Nothing different happens until the pace slows down at the fifth track, a ballad entitled “Nicholas.” The most upbeat and stimulating track is “Perfection,” which has more involved guitar work and atypical solos. Little Brazil would most likely benefit from multiple vocalists to give the music more texture. Whatever interesting elements they can add to diversify their music would be suggested. What is incongruous about the record is that a lot of the songs deal with themes of family and children — adult themes that it seems their fanbase might not be able to relate to. Despite the fact that this record wouldn’t appeal to most of their Generation X and Y peers, the lyrics are earnest and delivered from the heart. Little Brazil keeps good company, comes from good roots, and tours with great bands. My hope is that they step it up for the future and turn the solid rock base that they have built into something more complex and stimulating. Laura Kimpton Blends Collage With Encaustics. Judy Nelson lives in Brooklyn, New York, where she has the luxury of walking to work and enjoying the best bagels known to humankind. Formerly a music industry publicist, Judy now works in the design industry with an array of talented clients. She has been writing about music for REDEFINE for five years, and is proud to be part of such a creative, imaginative, and constantly evolving team.